The legal practice of Worth, Longworth & London is dedicated to the focused representation of law enforcement officers in the New York City area. The firm's lawyers work tirelessly to help their clients get the best resolution of job-related administrative, criminal, or civil cases. The following are some of the questions most frequently asked when people are just getting acquainted with the firm. For information about all legal issues related to New York law enforcement, please contact Worth, Longworth & London, LLP. Do you represent private citizens accused of crimes, or only the NYPD? Do Worth, Longworth & London handle personal injury lawsuits for plaintiffs? Does the firm have more than one office? Can I choose which office to go to? Is the firm's practice limited to just New York City or can those outside the city turn to the firm for assistance as well? Rely upon the support and experienced legal counsel of Worth, Longworth & London, LLP when facing administrative or criminal charges or being sued in connection with law enforcement work. Contact Worth, Longworth & London, LLP online. Do you represent private citizens accused of crimes, or do you work only for the NYPD? 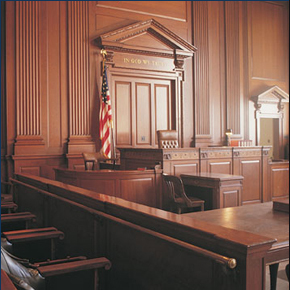 In addition to standing up for law enforcement officers, the firm also represents a wide variety of defendants accused in all kinds of criminal matters. Yes, members of the firm remain actively and steadfastly involved in pursuit of personal injury claims until justice is done. Yes, there are two offices. The New York City office is located in lower Manhattan at 11 John Street, Suite 640, New York, New York 10038. The phone number for the New York City office is (212) 964-8038. The firm's Long Island office is located at 330 Willis Ave., Roslyn Heights, New York 11577. The phone number for the Long Island office is (516) 621-0007. Can I choose which Worth, Longworth & London to go to? Yes, the client is welcome to choose which office to visit. Client convenience is of paramount concern to the firm. The lawyers of Worth, Longworth & London have appeared in more than 10 counties in the New York area, including all 5 boroughs of New York City; Orange, Duchess, Nassau, Suffolk, Westchester, and Putnam counties; and even Albany.